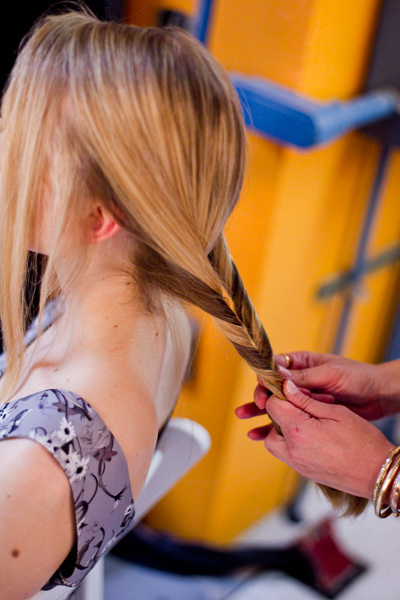 Was Phillip Lim’s the most spring-like show of the spring collections? With its sunlight-simulated runway lighting, colorful windbreakers and kite inspiration (yes, kites!) - not to mention the breezy beauty look - I’d wager so. 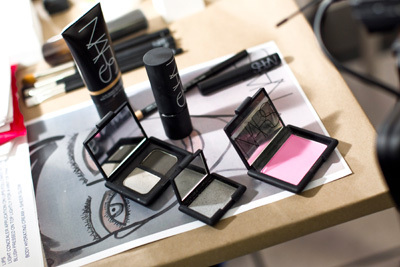 Francelle Daly, Nars National Makeup artist, dubbed the makeup look “rebel romance. It’s a very romantic skin tone meets a hard edge.” That romantic complexion came courtesy of Nars Pure Radiant Tinted Moisturizer (new for Spring 2012) for “a light veil of color,” plus The Multiple in Copacabana on the cheekbones, bridge of the nose, Cupid’s bow and chin. Francelle penciled in brows with Eyebrow Pencil in Jodhpur, elongating them slightly. For that rebellious edge, she created a silvery half-moon above the crease of the eye using Nars Single Shadow in Night Life (a dense metallic) and the lighter shade in the Paris Duo Eyeshadow (a silvery slate gray). She curled lashes and added “about six” coats of Larger Than Life Volumizing Mascara for a romantic - though not clumpy - effect. 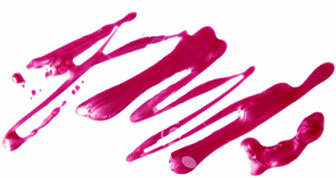 Lips were toned down with concealer then recolored with pink blush (another Spring 2012 shade) to mimic a bare lip. The result? “You’re seeing a mix of textures, you’re seeing hard versus soft, geometry mixed with light and air. There’s a lot of contradictions going on. That’s what Phillip was all about this season, and I was very inspired to bring that to the makeup as well,” Francelle explained. 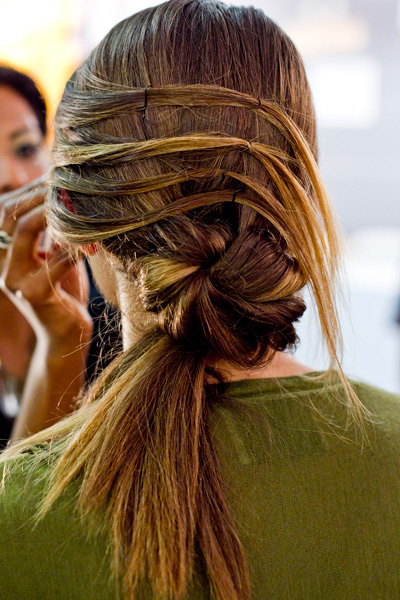 Meanwhile, Odile Gilbert created a side parted ponytail-knot with four pinned back pieces meant to mimic wind blowing the hair. She prepped the hair with Kerastase Fibre Architecte, a new product “with texture and conditioner at the same time,” and blow dried strands straight. 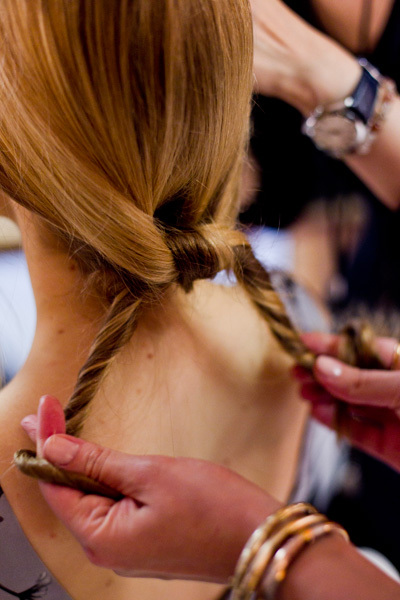 Then she twisted the hair into two sections and tied them in a knot, securing with U-shaped pins and finishing with Kerastase Double Force Hairspray.